The European Association for Behavioural and Cognitive Therapies (EABCT) is an organisation that brings together 53 individual associations from 39 different countries. Each association is committed to the empirically based principles and practice of behavioural and cognitive therapy approaches in health, social, education and related fields. They also share a common goal of developing the highest standard of clinical practice through the development of training, continuing professional development and evidence based practice. 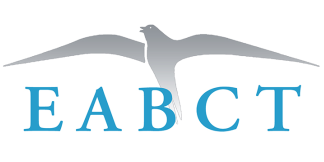 The EABCT projects scheme provides funding to member associations to support projects. The aim is that also other EABCT associations can benefit form the results. The European Association for Behaviour Therapy (EABT) was formally established in 1976 but had its origins five years earlier when behaviour therapy groups in Germany, the Netherlands and the UK joined forces to create a European wide movement. In 1992 it added the title cognitive to become EABCT and now has over 25,000 individual clinicians and researchers in its membership making it one of the largest psychotherapy organizations in the world.